Zeal Wellness Blend helps . . .
Zurvita’s Zeal Wellness Blend combines many of the most powerful nutritional components available today into a single, delicious, natural real-food product. Recognized as what’s called a “functional food,” Zeal Wellness Blend transcends the role of many supplements, and provides the body with the food-based nutritional components it needs in a more fundamental form. The results? You can feel more vibrant and energetic, fueling a life of real purpose and significance. Filled with some of the most well-known botanical extracts available today. HOW DO YOU GET IT FOR FREE?! Once you sign up as a Preferred Customer, and get your Zurvita Website, you can share it with family and friends or anyone interested in wellness! Want more FREE Zeal Products? Get more sign ups! The more people buy from your site, you qualify for more free products! When you sign up, you get to chose a user name and that will become your Zurvita site! Start with a GREAT deal! This includes a 30-Day Supply and 12 Single-Serving Bottles of Zeal Wellness. This means that your 12 Single-Serving Bottles will always be FREE! * Product is not intended to diagnose, treat, cure or prevent disease. The information on this site is not intended to replace advice from your physician, other health care professional or any information found on any product label or packaging. You should always consult with a qualified health care professional before starting any diet or supplementation program, especially if you are pregnant, nursing or taking prescription medications. The Zeal Wellness formula, pricing and other factors may vary by country. 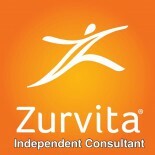 Interested in becoming a Zurvita Independent Consultant? Not only you can get products for free but also enjoy 20% commission on your sales! Contact us now! This entry was posted on October 9, 2015 by Zurvita.com/HealthRoads in Nutrition and Wellness and tagged free product, free sample, free website, Free Zeal For Life, Free Zeal For Life Products, free zeal sample bottles, Free Zeal Wellness, get free products, gluten free, guarana free, kosher, vegan, zeal for life, Zeal For Life Products, ZEAL SAMPLES, zeal wellness, zeal wellness formula.